Fall is here! I am telling you I think Fall is the most beautiful time of the year. If there is a destination that has fall temperatures year round, I SOOOOO want to move there. Fall is also my favorite season for fashion too, it means layers and it means scarves, jackets, hats, boots, and even sweaters. 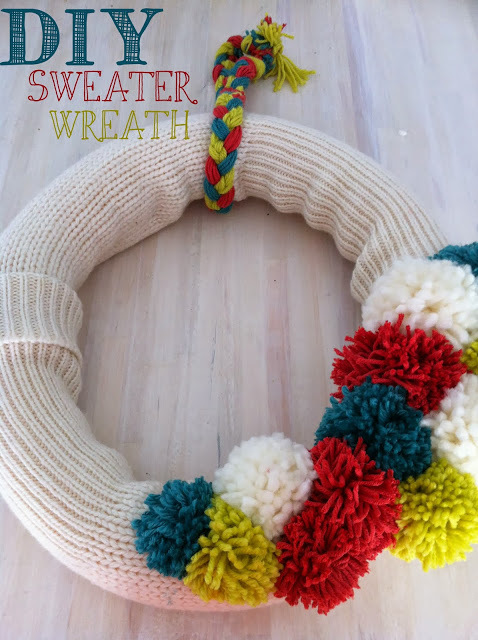 I thought since we bundle up in nice cozy sweaters in the fall why not do the same for a wreath. 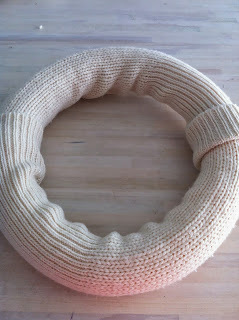 Below you will find my Fall Pom Pom Sweater Wreath DIY. ♥ Cut the sleeves off of your sweater and put them on the pool noodle. 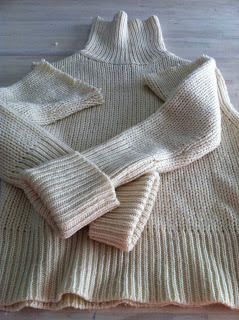 ♥ Cut the pool noodle to the appropriate size so that the sweater arms completely cover the noodle. 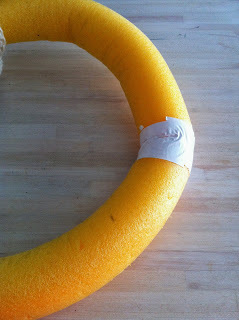 ♥ Tape the pool noodle together to form the wreath. 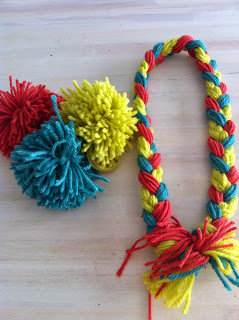 ♥ If you want to make smaller pom pom’s wrap the yarn around 3 fingers and follow the same steps and you will end up with a smaller pom pom. ♥ I braided a bunch of strands of the yarn to make the hanger for the wreath. Now you have a gorgeous Fall Wreath to enjoy!